Home MMA News UFC Fight Night 82 results recap: What’s next fight for Stephen Thompson? 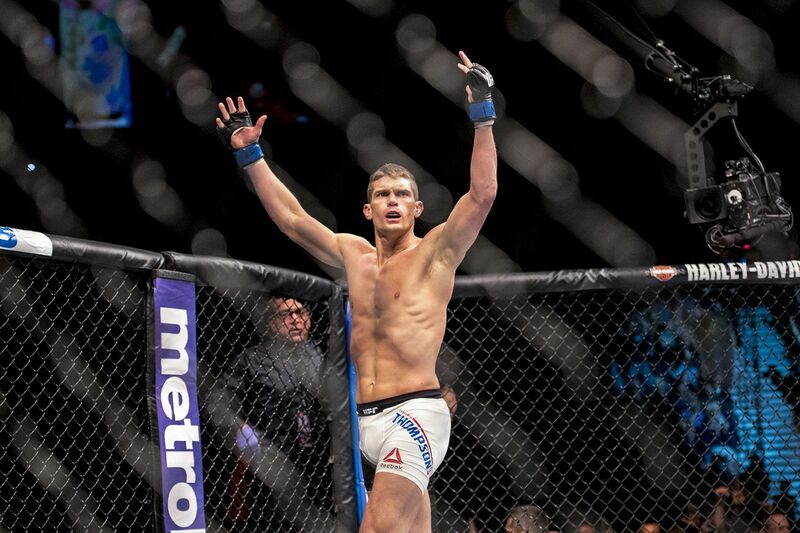 UFC Fight Night 82 results recap: What’s next fight for Stephen Thompson? Three minutes and thirty one seconds. That is all it took for Stephen Thompson to finish former UFC Welterweight Champion Johny Hendricks in the main event of UFC Fight Night 82 this past Saturday (February 6, 2016) live on FOX Sports 1 from inside the MGM Grand Garden Arena in Las Vegas, Nevada. To put “Wonderboy’s” victory into context, understand that Hendricks has gone 10 full rounds against UFC Champion Robbie Lawler, 15 violent minutes against Carlos Condit, tangled horns with the greatest Welterweight in history as he battled Georges St-Pierre for 25 minutes, and he also defeated Martin Kampmann, Matt Brown, and a handful of others along the way. None of those men could take “Bigg Rigg” out, and Thompson did so almost effortlessly, becoming the first person to ever stop Hendricks in his illustrious 21-fight career. Turning 33-years old next week, Thompson is currently in his fighting prime, having won six straight fights against formidable opponents and succeedingly tough competition. Among his six recent victories have been four knockouts, which has notched the No. 8 ranked Welterweight three $50,000 bonus checks in his last four bouts. When he made his UFC debut in 2013, most believed “Wonderboy” would merely be a flash in the pan, as his savvy striking arsenal would be nullified by even mediocre wrestlers.